Be informed about a home’s plumbing system before you buy. Polybutylene piping is a form of plastic resin and was commonly used for plumbing U.S. homes built between 1978 and 1995. Due to its inexpensive production cost and ability to withstand high water pressure, it was widely seen as a better, cheaper alternative to copper plumbing. Unfortunately, it was later discovered that this type of plastic reacts negatively to water-soluble oxidants (like chlorine) and over time will deteriorate, flake and become damaged. Shell Oil Company was, from 1977 to 1996, the sole producer of polybutylene resin, which was the raw material for the piping. * It is a saturated polymer that, in resin form, can be molded into a number of shapes and forms. It does not crack under stress or pressure; it is flexible and generally resists chemicals like oils, acids, alcohol and fats. It doesn’t corrode, doesn’t calcify and transmits a low noise. It was viewed as an excellent alternative to traditional water pipes, for both the transfer of hot and cold liquids. The creation of the polybutylene piping was an valuable choice for the housing boom, especially for lower-priced homes like mobile homes. Polybutylene should not be confused with PVC (PolyVinyl Chloride) piping. Entering the home through basement walls, etc. During the home inspection process, your certified home inspector may bring to your attention the use of polybutylene in the home. According to the National Association of Home Inspectors, polybutylene pipes were typically stamped with the code “PB2110,” are flexible and not rigid, not used for waste, drain or vent piping. Polybutylene pipes are blue, black or grey in color and are usually ½” to 1” in diameter. NAHI notes, “Home inspectors are not required to note the presence of polybutylene, and no tests for weaknesses should be performed. Any deterioration of polybutylene pipes happens from within and cannot be detected without turning off the water and dismantling the pipe, which is far beyond the standards of practice of home inspection.” Be aware that polybutylene piping systems may use copper fittings. 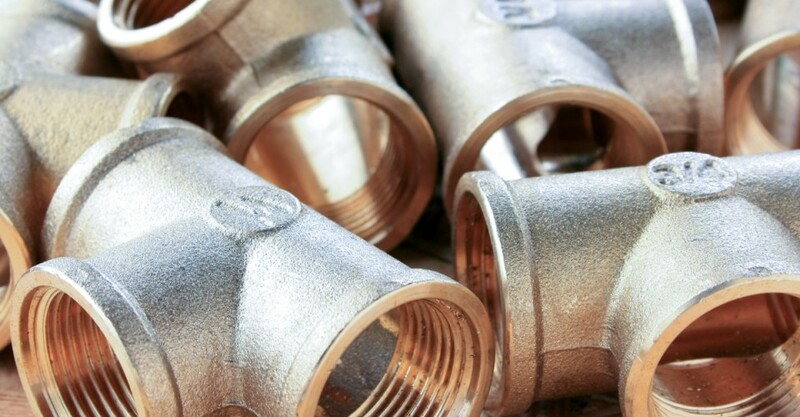 Meaning that just because you see copper, the piping system may not be entirely made from copper. A licensed plumber can determine if your home’s plumbing system is made from polybutylene piping. In the 1980’s litigations over leaking plumbing due to polybutylene pipes began in California and Texas. The eventual Class Action settlement of $1 billion (Cox v. Shell Oil) in 1995 was enough to ensure that polybutylene water pipes were no longer acceptable by U.S. building codes. It takes about 10-15 years for polybutylene piping to deteriorate. Because it deteriorates from the inside out, it’s difficult to assess the extent of the damage. A licensed plumber can fully assess the water pipes outside and inside the home to determine the material and age of the pipes. Studies have shown that polybutylene pipes, over time, will leak and it is highly recommended that they be replaced. Unfortunately, if there are polybutylene pipes within the home, or leading into the home, the best course of action is to replace the pipes entirely by hiring a re-pipe specialist. An expert can assess the current plumbing, replace the pipes and expertly patch up any holes. There are currently no laws stating that the seller is required to disclose polybutylene pipes. It is up to the potential buyer to perform due diligence on the plumbing in question. Please check out Polybutylene.com for additional information.